It has been unseasonably warm the past few days...a high of 63f/17c today and as I type these words at nearly 10pm it is still 48f/9c. Odd. But it is supposed to get cold again in the next couple of days. Anyhow, rather than snow it has been raining. 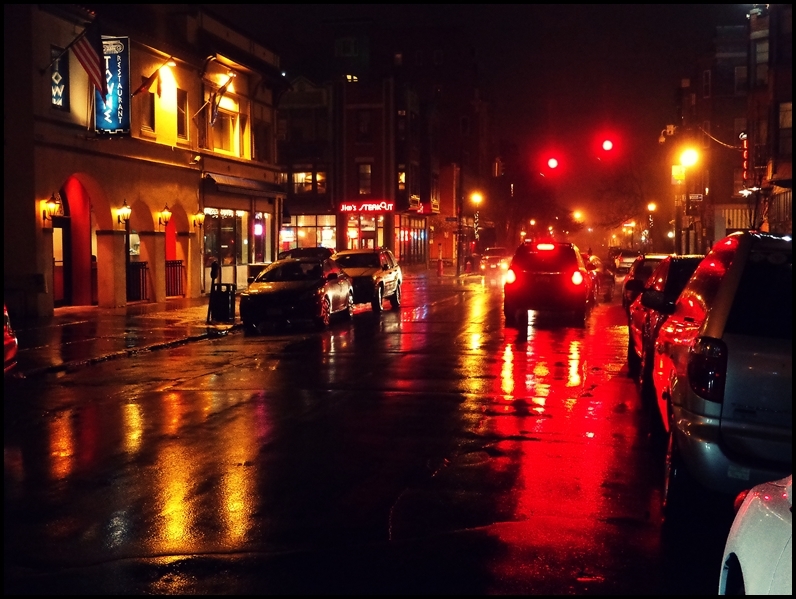 And it's interesting that when I owned a car, on a night like this I would have likely taken it rather than ride in the rain. But being car-free I have a few options: ride, walk, take the bus, or stay home. So I rode. Rain is no longer my nemesis. 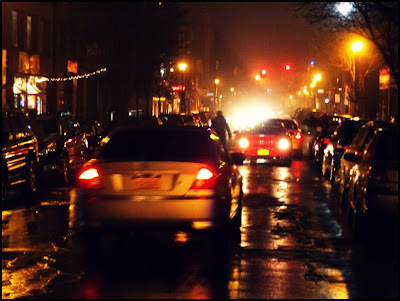 I love how the wet streets reflect light, giving the entire scene an unnatural glow. 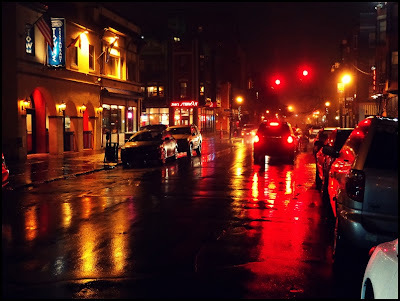 I took both of these photos on Allen Street on my way home from the health club this evening using my pocket point-and-shoot camera. I've been calling this series The view from My Handlebars for a while because that's what it is. I was straddling my bike as I looked out over my handlebars and this is what I saw.